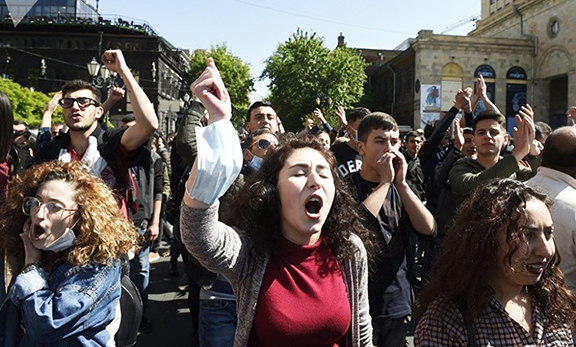 YEREVAN (Noyan Tapan)–President Robert Kocharian signed a decree on Thursday–changing the governmental structure. According to the decree–the post of Minister for the Coordination of Industrial Infrastructure Activities was abolished–and in its stead–the post of the Minister for Territorial Administration and Coordination of Infrastructure Activities was established. According to the presidential press service–Kocharian signed a decree appointing Hovik Abrahamyan Minister for Territorial Administration and Coordination of Infrastructure Activities–releasing him from his post as the Minister of Territorial Administration. The president also relieved Zaven Gevorgyan from his post as Minister of Agriculture–and appointed David Zadoyan to take the seat as minister of agriculture. Zadoyan was released from his post as Minister for the Coordination of Industrial Infrastructure Activities–to fulfill his responsibilities as the new Minister of Agriculture. Kocharian also changed the Armenian Securities Commission staff–appointing Amalia Saribekian deputy chairwoman of the securities commission until August–2004. Vasak Torosian was appointed member of the commission until August 10–2002.